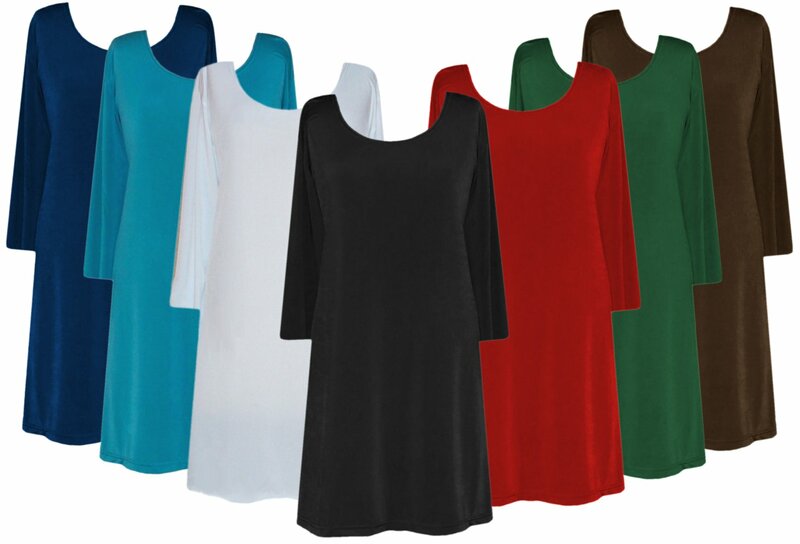 These are fabulous lightweight stretchy slinky shirts, in roomy plus & super sizes 0x to 7x. 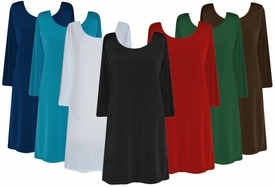 Many colors to choose from: Green, Red, Dark Green, Dark Brown, Yellow, Pure White, Pink, Beige. The tops have a round neckline, and half sleeve. See below for measurements. 2x: Chest:60" - Hips(appx):66" - Length:36"
3x: Chest:64" - Hips(appx):70" - Length:37"
4x: Chest:68" - Hips(appx):74" - Length:38"
5x: Chest:74" - Hips(appx):80" - Length:39"
6x: Chest:78" - Hips(appx):84" - Length:40"
7x: Chest:82" - Hips(appx):88" - Length:41"
Note: Material is very stretchy, however measurements are always taken "unstretched". 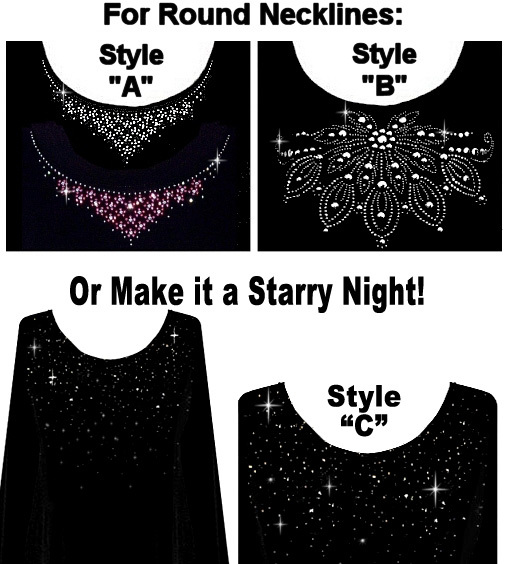 You can even add some sparkle to it!